SWSG provided architecture and engineering services for an interior renovation of the raised floor data center space and upgrades to the existing UPS, generator, and HVAC systems at the Fairfax County Government Center. The project included a new chilled water system, high-density HVAC equipment, structural modifications, upgraded CRAC HVAC system, upgraded UPS system, and generator. Electrical upgrades included UPS replacement, power distribution units (PDUs), and 1.5 MW generator. 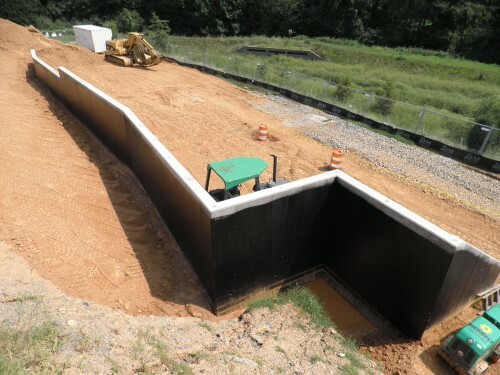 The third phase required the design of a 10 ft. high x 100 ft. long retaining wall for the new generator. Construction Documents, Minor Site Plan, and construction administration services were provided. SWSG performed historic research, evaluated existing conditions of the buildings and grounds, and prepared an opinion of probable cost for recommended treatments for this 2.5 acre property. SWSG prepared plans to restore the main house and outbuildings for use as a historic preservation learning center. SWSG also designed and prepared construction documents for a retaining wall at the base of the hill to provide space for parking.